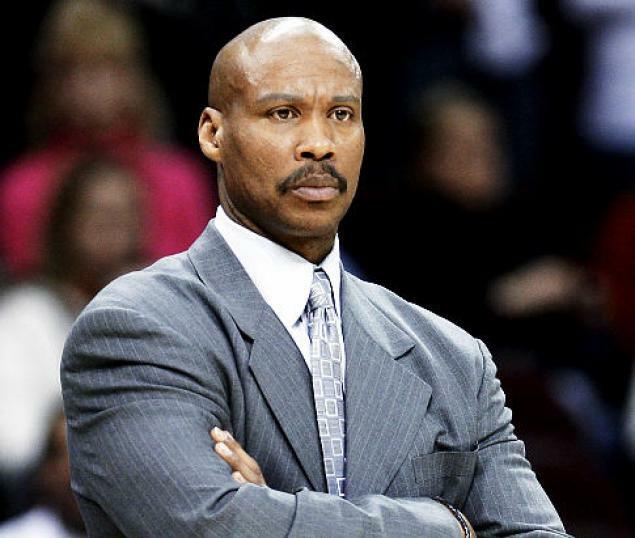 There are a lot of things that are out of the control of a head coach, which is a lesson that Cleveland Cavaliers coach Byron Scott knows all to well. You can’t hold it against Scott that LeBron James left in free agency just a short time after Scott took over the job. Or that center Anderson Varejao missed 51 games in 2011 with a torn ligament in his foot, 41 games last year after breaking his wrist or 57 games this year with a longitudinal split of a muscle between his quadriceps and knee. Or that point guard Kyrie Irving missed 15 games last season, broke his hand over the summer and has missed 20 games (and counting) so far this season. Or that Dion Waiters has missed the past week with loose cartilage in his knee that may require arthroscopic surgery. Or that when he looks at his bench he sees Omri Casspi and Luke Walton staring back at him. Is Scott the right man for the job? To his credit, Scott is one of just two current coaches, along with Boston’s Doc Rivers, to have more than 400 wins as both a coach and a player. Now in his 13th year as an NBA head coach, Scott has 414 wins (along with 510 losses). However, he is just 62-155 with the Cavs. Scott did take the Nets to back-to-back NBA finals as their head coach, but that was 10 years ago. Since then, he has had just two winning seasons and won a total of eight playoff games. The 26-game losing streak in the 2010-11 season, the longest in NBA history. The 39-point loss to the Bulls in January of last season, the worst home loss in franchise history. “We have a long way to go. We have a lot of work to do,” Scott said after the game. Wednesday night’s loss to the Heat, when the Cavs couldn’t hold on to a 27-point lead in the third quarter. The Cavs are now 3-3 this year in games when they had a lead of at least 20 points, compared to the rest of the league, which wins almost 97 percent of the time when they hold a lead that big. In addition, in the past 15 seasons NBA teams had five wins against 2,013 losses (yes, you read that right) when trailing by 27 or more points in the second half. Friday night’s 38-point loss to Houston, the worst of the season. Scott came to the Cavs with a reputation as a defensive coach, but the Cavs currently rank 26th in points allowed (101.5 a game), last in opponents field goal percentage (.478), 26th in 3-point field goal percentage (.374) and 25th in rebounding. In other words, he’s not making anyone forget Mike Brown when it comes to defense. While it is probably too much to think the Cavs can win without their top players, does it really have to be this bad? It not so much that the Cavs are losing – after all, the team is still being rebuilt and is not a finished product – it’s the way the team is losing that has us worried. Working in the Cavs favor is the fact that the Indians will open the season in just over a week and, with the moves the Tribe made in the off-season, fan interest will quickly turn away from Quicken Loans Arena to Progressive Field across the street. And, of course, the NFL Draft, organized team activities and training camp for the Cleveland Browns is not that far off. Sure, a week like the Cavs just had can make everything look worse that it may be. But there have been enough extreme losses under Scott’s watch that it’s not too much of a stretch to wonder how much longer that owner Dan Gilbert and general manager Chris Grant can play the patience card. (Although as we know far too well in Cleveland, firing the manager or coach is the easy part).